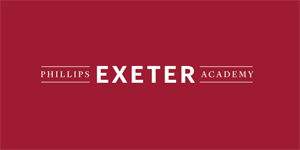 Visit our website, www.exeter.edu, to learn more about us and view the full job description. The Violin Instructor will teach weekly private lessons for high school violinists from beginner to advanced level. • Create a weekly schedule for private lessons and communicate with students regarding schedule changes. Maintain accurate rosters, monitor student attendance, enter grades and comments in a timely manner according to the Academic Advising Calendar. • Understand the Academy’s calendar and daily schedule and effectively use Academy systems for communication and course management. • Work with students to set goals for private lessons, select appropriate repertoire, help students procure music, instruct students in technique, musicianship, and practice strategies; assess and support musical development, provide appropriate performance opportunities. • Communicate student issues or concerns with Department Chair and/or Student’s Advisor or student’s parents when necessary. • Prepare students for recitals, masterclasses, competitions, college admission recordings, and other needs. • Coach chamber music and orchestral sectionals as interested/available. • Advise senior projects or student clubs if requested by students as interested/available. • Collaborate with colleagues on faculty performances as interested/available. • Maintain collegial relationships with members of the department. • Participate in occasional department meetings, PEA faculty meetings, and other forms of shared governance. • Additional duties may include participating in planning and developing the department’s concert series, coaching instrumental and vocal chamber music, and playing for the school’s annual musical production. • B.A. or B.M. required. • Master’s degree in Violin or equivalent experience preferred. • 3+ years’ successful private studio teaching experience. • 3+ years’ professional performing experience. • Excellent studio teaching ability. Ability to teach technique, repertoire, and musicianship to violin students from beginner to very advanced levels. • Ability to create a positive and productive learning environment for high school age students. • Ability to teach a variety of styles and genres including solo repertoire, chamber music, and orchestral literature. • Enthusiasm for working with adolescents. • Strong interpersonal skills with ability to develop and maintain collegial relationships. • Demonstrated ability to work with students by building trust and credibility. Submit a cover letter and resume, as one pdf document, to teaching_opportunities@exeter.edu. Please indicate in the subject line: Violin Instructor.